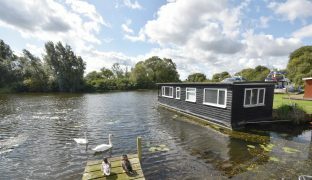 HOUSEBOAT A well presented two bedroom houseboat offering an impressive position directly onto the River Yare with stunning panoramic views, set in a quiet, well maintained marina, within walking distance of the centre of the village, off road parking. 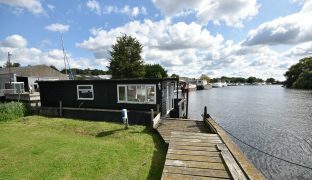 Offering an impressive position directly onto the River Yare with stunning panoramic views, this two bedroom houseboat offers the perfect riverside retreat, set in a quiet, well maintained marina, within walking distance of the centre of the village with a good selection of local facilities, including a railway station providing access into Norwich (10-15 minutes travel time), and onward to London Liverpool Street (2 hours travel time). 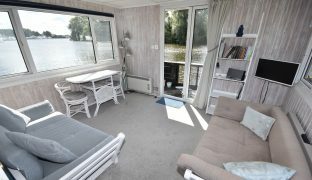 The houseboat is well presented with accommodation that consist of a triple aspect living room with superb river views, a galley kitchen, dual aspect master bedroom with river views, second bedroom and a shower room. 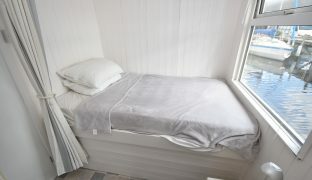 Features include UPVC sealed unit double glazing and electric wall mounted heaters. 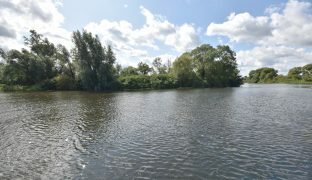 The marina provides off road parking and communal riverside grounds. 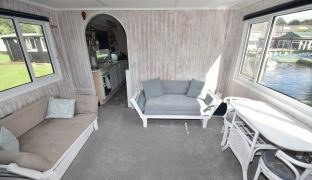 Living Room: 11’10” x 9’10” – Triple aspect with unspoilt panoramic views out over the River Yare, wall mounted heater, TV point. 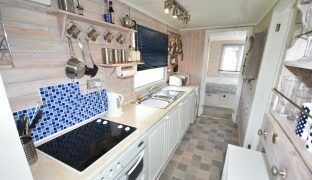 Galley Kitchen: 7’1″ x 6’0″ – Range of storage units with 1½ sink unit and drainer, built in double oven and hob. 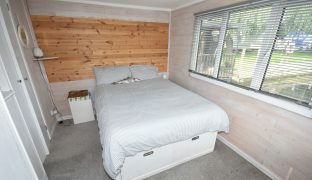 Master Bedroom: 11’6″ x 8’2″ (7’1″ min) – Dual aspect with river views. Fitted wardrobes, wall mounted heater. 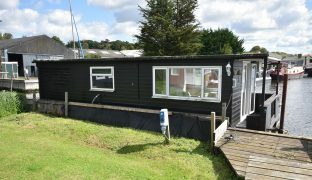 Shower Room: Low level w/c, wash basin, shower enclosure, extractor fan, window to side. 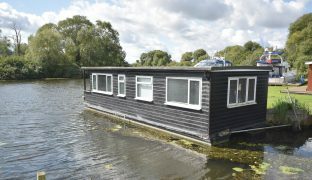 Mooring fee: Approximately £3,000 per annum. Service charge: Approximately £30 per quarter. Not suitable as a permanent residence. 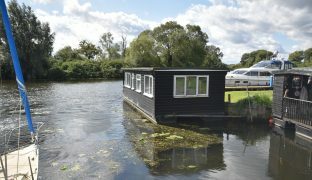 New floats fitted in 2016.